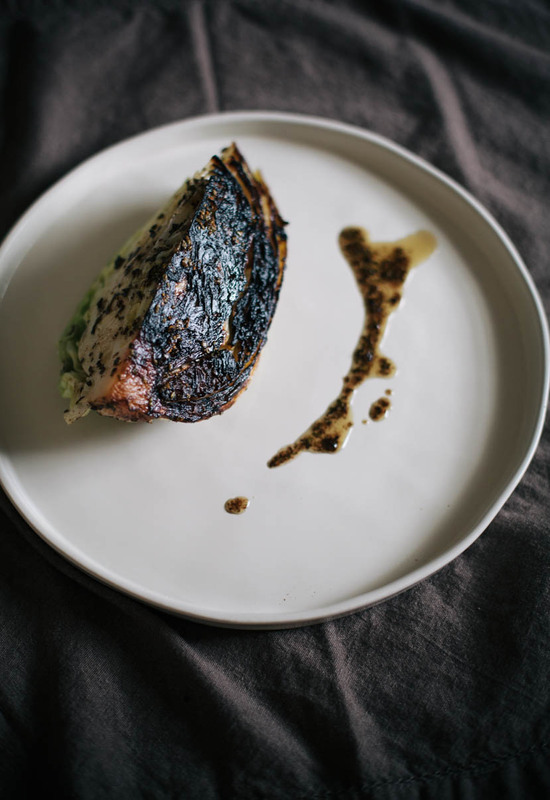 Blackened Cabbage — always with butter. 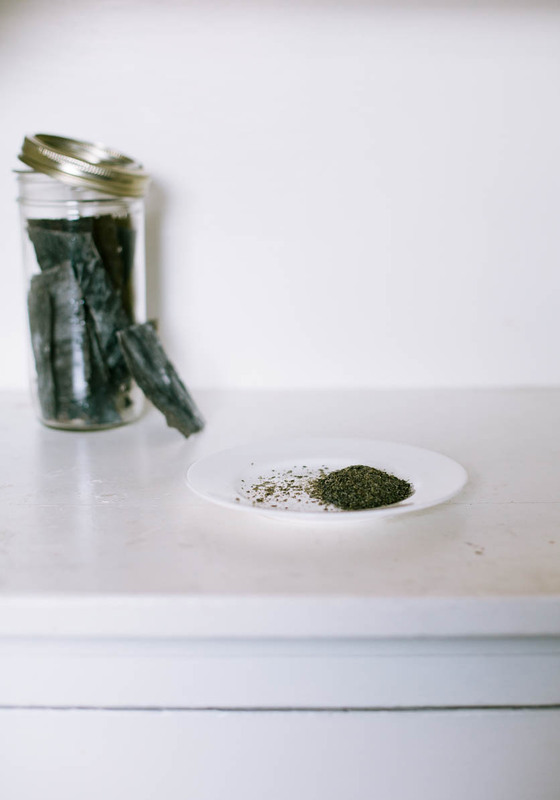 Grind kombu in a spice mill to a fine powder. (You should have about ¾ tsp.) Heat oil in a medium heavy skillet over medium-high and add half of cabbage, cut side down (reserve remaining half for another use). 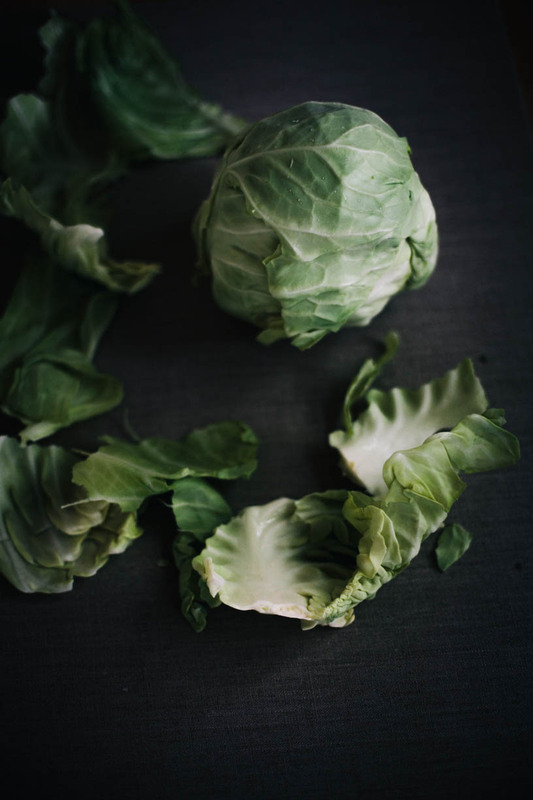 Cook cabbage, undisturbed, until underside is almost blackened (the edge of the sides will start to brown as well), 10–15 minutes. 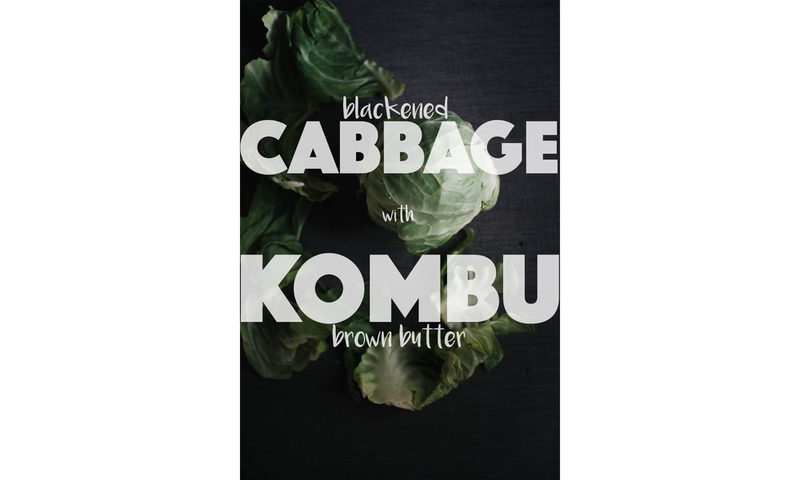 Reduce heat to medium-low, add butter to skillet, and shake pan to help butter get in, around, and under cabbage. As soon as butter is melted and foaming, tilt skillet toward you and spoon browning butter over cabbage, being sure to bathe the area around the core (thick and dense, this part will take the longest to cook), 30 seconds. 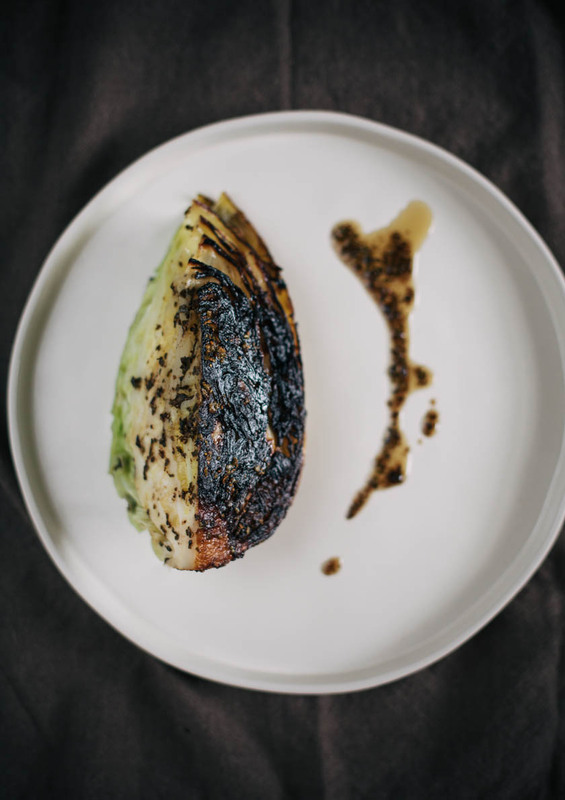 Stop basting and let cabbage cook, undisturbed, 3 minutes, then baste again, 30 seconds more. Repeat cooking and basting process twice more (butter will continue to get darker as it cooks, and that's okay; add a knob or two more to bring it back from the brink), adding kelp to brown butter just before final basting. At this point, cabbage should be tender (a cake tester or skewer inserted into the core should meet with no resistance) and the outer leaves have pulled away from one another. If cabbage is not done, repeat cooking and basting process once more. Transfer cabbage to a cutting board and cut into two quarters. Pull leaves open slightly and tuck basil here and there between a few leaves. Drizzle with vinegar and season with salt. Let cabbage sit a minute or two for basil to soften before serving. Generally my google searches get really extensive and weird. Some times the results are good other times moderately horrifying. Finding this recipe was a good time. After finishing reading the Relae cookbook, I fell in love with the photography, stories about the restaurant and why they do what they do. The recipes in the book are not ones you actually would cook from but more inspiration on how to cook. So I began to extensively google Christian Puglisi and came upon this recipe. A vegetarian recipe that sounded and looked, from the photos online, amazing to me. Quite a rare find. So after about a month of copying down the recipe in my little hand written book of found recipes, I finally gained some ounce of focus and made it. And I will make it again and again.